Now another 5 years later and I’ve worn that Superfine 190 top hundreds of times. It still looks smart enough for a job interview and it’s casual enough to wear to the pub. I’m a fan of Icebreaker because merino has almost nothing in common with normal wool and instead has no itch, feels super soft, is tough in the washing machine and smells fresh even on epic plane flights, long runs or multi-day adventures. I own dozens of pieces of merino and have forced the fabric onto my family, in-laws and even occasionally complete strangers. Recently, a new wave of merino manufacturers have also joined the movement including Rapha, Outlier, Finsterre, Chocolate Fish, Nau and SmartWool. Each of these companies have tackled the challenge of building word of mouth in slightly different ways. There is a lot that you can learn about niche marketing and social media from these companies. A lot has been written about Icebreaker’s success including a precocious 17 year old, Better by Design case studies and a Harvard Business School case study. Their concept stores seem to generate good buzz whenever they arrive in town, their Facebook page is well loved and bloggers rave about their products. 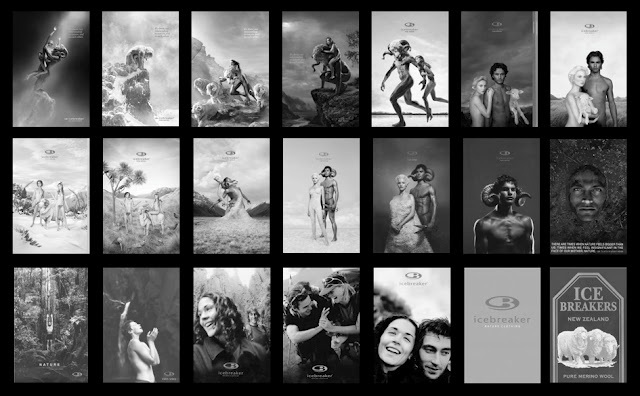 Icebreaker is one of New Zealand’s global branding success stories. As well as my near constant wearing of the product, I know the back story behind the brand fairly well because I’ve worked with lots of the people that were involved in creating it. In the early days, the Icebreaker team called on a wide range of design talent including Brian R Richards, Designworks, Billy Sushi, Origin Design, DNA and even the elusive Chris Bleakley and John Plimmer. I believe that it’s the mark of a strong team to keep their centre of gravity in-house while drawing on the best of the agencies that they worked with. Through all of this, Icebreaker seem to have prided themselves on building a multi-million dollar brand with word-of mouth alone and no above-the-line advertising. Design has been a key part of achieving this and the catalogues have become something of a collectors item over the years. Recently there has been some mixed work from a variety of agencies. Including some aggressive virals from Y&R, website work from SiteSmart, store design from Viz Works and PR by Mango Communications. Even so, there is still a lot to learn about social media and word of mouth from Icebreaker and its peers. The best word of mouth is built on robust product stories. Outlier are targeting urban cyclists, they focus unwaveringly on the robustness of the product. For these niche companies ‘the product is the marketing’. People smarter than me have examined why the product is so important to building a loyal following. To build buzz, your product has to ‘just work’. Finisterrebuilt from a core of cold weather surfers but now lets the product speak for itself across a range of sports. Like Outlier they have used credibility in one niche to quietly attract other niches. Once you have the fans then it’s all about getting them to communicate with each other in an environment that you have created. This is the softest sell ever. All you do is play host. Let the guests at your party talk about how good the hors d’oeuvre are. Road cycling brand Rapha have created an iPhone app called Rendezvousthat lets their customers find each other and meet up for group cycle rides. The app ties fans to the brand but is focused on tying them to each other. This encourages the fans to bring their other friends along to join the club. Smartwool used product sampling to get over the initial adoption hurdle. They actually went out on the ski slopes and challenged people to wear their merino socks for the day. Icebreaker arranged for Sir Peter Blake to wear an early prototype while sailing around the world. Some good sampling and activation are nice ways to build word of mouth, but they are dynamite for PR. You can leverage small events by building a human story that the media will pick up on. This is where niche word-of-mouth morphs back into mass consumer marketing. If your story is good enough that my mum will talk about it at her book club, then it’s good enough for a blogger, TV show or Time Magazine. The big sports brands like Helly Hansen, Kathmandu and Rohan do solid merino kit but it’s almost always a clingy underlayer weave. It’s ok for travelling or as an underlayer, but it’s not going to win any style awards. 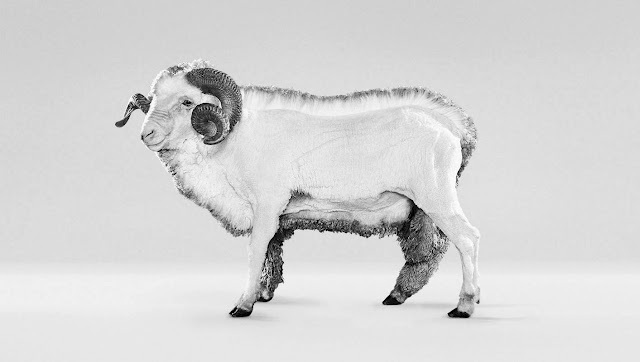 The big high street brands like Uniqlo, Muji and Carhartt do great merino. It’s usually a wide weave cardigan type knit that works as a smart mid-layer. But there is no way that it’s going to survive the bash-them-against-themselves maelstrom inside your washing machine. What you’ll struggle to find is the high quality, super fine merino weave that drapes like silk or cotton. For that you need to hunt out the new wave manufacturers like Rapha, Outlier, Chocolate Fish and Icebreaker. If you’re just getting started then try out an Icebreaker Tech T. They’re a classic and will work for you in almost any setting. 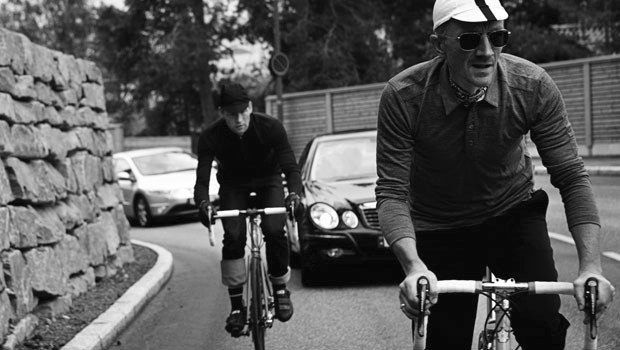 If you’re already a merino fan then do check out Rapha’s merino long sleeve polo. It’s a go anywhere smart look. The marketing lesson from a weekend of wandering Covent Garden, Soho and Hackney is that, “You’ve got to be in it to win it”. Meaning that even with the best product if you’re not in-store, in-stock and in-the-full-range-of-sizes then all your hard marketing work can die on the vine. Interesting post. I think word of mouth worked well when Icebreaker had a unique product but i’d be interested to know how the company is faring now that many established outdoors brands have essentially copied the technology and introduced their own merino range usually at a lower price(i.e. macpac, snowgum, kathmandu etc.) Will word of mouth be enough to encourage a consumer to pay the higher price for icebreaker merino or will the competition start to bite into icebreakers market share? I own macpac and icebreaker gear. I prefer the macpac in some items, the icebreaker in others. I think the concerns you have mentioned in your post re: kathmandu, macpac, snowgum are unfounded… especially since snowgum went belly up! Icebreaker is premium, and trades on it well. They do one thing (merino), and do it well. Macpac has always been a premium brand in my eyes (based on their packs). I feel they’ve extended this to their merino range. Kathmandu has/will always be the mass market anyone can afford (in their quarterly 60% off everything “sales”). Each serves a market segment. There’s obviously overlap, and some get squeezed out. This is the nature of the business. Icebreaker are the top of their segment… I don’t see an impact from others. I have a range of icebreaker gear back home in NZ but picked up Macpac gear for a recent trip. The quailty wasn’t as good for the base layer garments but the outer layers were on par. Whilst i love the product the flagship stores are always devoid of people and i get an uneasy feeling a lot of the icebreaker price premium is fed back into rent and shop wages, not superior garments. With such effective word of mouth its confusing to see why they need the stores. Good article, Peter. I agree with most of your points. If you are not a big brand, with a big wallet to spend on branding, marketing and advertising (be it niche, viral or above the line) you better start with a clever/authentic story and generate some resonation with smaller tribes. Then, you also have to have the big vision to make that initial success grow into wider audiences. However, all what that creates is interest. The moments of truth are a) a great product (note, not good, anymore, as good is commodity these days) and b) ‘to be there’ (as you rightly pointed) so people can touch/feel/try the product and ultimately buy it. Social media and niche marketing could work to an extent yet not all people will decide their first purchase online. I like the term ‘clicks and mortar’, as an integration of all brand touch-points. And this, is the ultimate test of the brand experience.